Late check-out – on request and with a supplement of € 50,00 with departure on 15h00. After 15h00 with additional supplement of € 10,00 per hour. Located between Maruggio and Manduria, Relais Le Fabriche – Masseria in vigna is located in a panoramic position overlooking the sea. 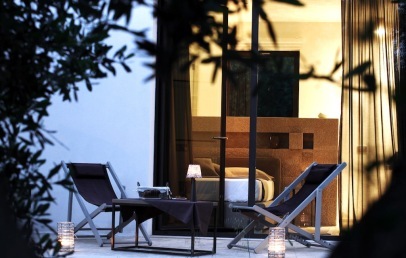 The Masseria is located less than 40 km from Brindisi airport and about 50 km from Lecce. The distance from the sea is about 4 km. The seventeenth-century old farm overlooks from its position a territory of about twenty-five acres, with olive trees and vineyards. In 2007 was defined the project to create an elegant Relais in this beautiful estate. 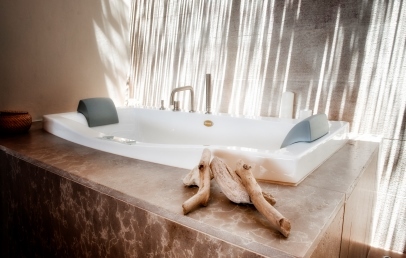 Relais Le Fabriche – Masseria in Vigna became a place of stay and rest as well as modern and refined space to take a break and contemplate the wonders of nature. Relais Le Fabriche – Masseria in Vigna offers 18 comfortable Junior Suites with every comfort and one elegant Suite with a glass cover opening to the sky. The Suites are about 80 meters from the main building. The internet connection is available in each room. The restaurant is situated on the upper floor and offers typical, traditional dishes, enriched my a touch of modern creativity. Relais Le Fabriche – Masseria in Vigna offers the following services: bar, internet point, bike rental, horse riding, beach, tourist itineraries. 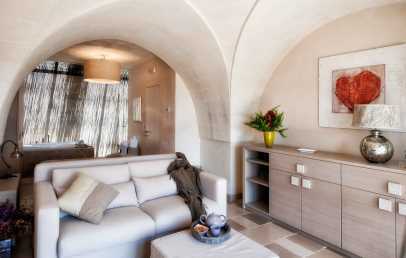 A comfotable double room, furnished in classic style in the colours of sand. Equipped with stone interiors, large windows and a terrace that allows guests to enjoy the panoramic views over the vineyards. The private bathroom has a stone shower. 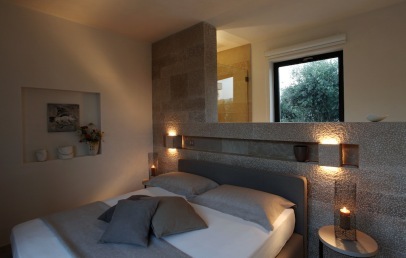 Double room, decorated in the colors of the sand with taste and refinement. Located in the historical part. Equipped with a stone interior, large windows and a terrace overlooking the panoramic views of the vineyards, allows guests to enjoy a space with glass cover opening to the sky. The private bathroom has a Jacuzzi for two and a stone shower area. Comfortable and modern room with soft colours. They are equipped with stone interiors, large windows and a terrace that allows guests to enjoy the panoramic view over the olive trees. The room is located on the side of the vineyards. The private bathroom has a shower made on stone. Early Booking - Book within April 30th 2019 and get a 15% discount on your stay (minimum stay 2 nights)! Long Stay - Book 7 nights and the last night is free of charge! Exclusively for Charming's clients: Wine Tasting for 2 (with good weather)!